Life changes like the seasons. We contemplate the passage of time as summer turns to autumn. Our hearts and minds remember the past months and mark the visible changes. We look forward to the new, and something within us longs to cultivate truth. As seasons change, it is not unusual to become introspective. 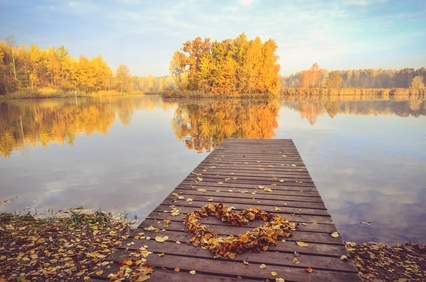 Autumn is a lovely season for soul searching…. Does love really matter? Jesus said, “If you love me, keep my commandments.” In other words, obey what our Lord has said. He talked much about love. He lived it and, ultimately, gave His life for it. The entire New Testament is full of dialogue concerning love. From the Gospel of Matthew to the Book of Revelation, we read stories of forgiveness, redemption and love. We see examples of how we as children of God are to respond to one another and to unbelievers. Matthew 18:21-35 is a parable Jesus told about the servant who was shown mercy, yet when he had the opportunity to do the same, that servant who was forgiven, refused and was unmerciful. This story is a powerful reminder that we would benefit from remembering! Yes, love really does matter! As we move into this new season, my prayer is, Lord, teach us to love. Love paid the price for our peace—a peace that passes all understanding. And love’s promise is everlasting life! May we endeavor to follow the example of our Lord and walk in His love, a love that heals forgives and restores—a love that never fails!